Health concerns brought on by smoke in the air prompted this sale's postponement from Nov. 15. The Campus Store is taking up to $350 off the price of new Apple computers and tablets during its one-day Apple sale. 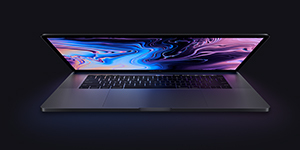 The sale will include discounts on models of the MacBook, MacBook Air, MacBook Pro, iMac and iPad Pro. People can arrange their purchases online for pickup at the sale.